What's New: Benefit Cosmetics, Smashbox and Algenist | Top Beauty Blog in the Philippines covering Makeup Reviews, Swatches, Skincare and More! 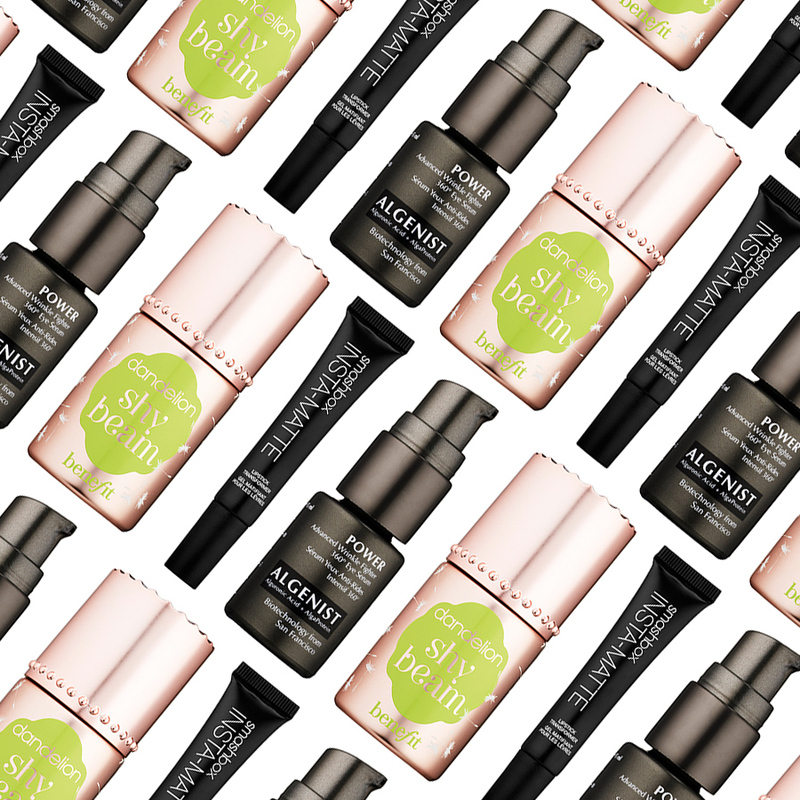 Three new great and exciting products from Benefit Cosmetics, Smashbox and Algenist worth giving a try . . . Benefit Cosmetics Shy Beam Matte Liquid Highlighter $26.00 - Put your complexion in the spotlight with this soft baby-pink, shimmer-less, natural-looking highlighter. Benefit’s Shy Beam is perfect for contouring, and it can be used under complexion products or as a spot highlighter over makeup. Ideal for all skin types, this foolproof highlighter can be swept on for subtle strobing or to give luminosity for a healthy, no makeup glow. Smashbox Insta-Matte Lipstick Transformer $24.00 - Change your favorite cream lipstick to matte—instantly — with Insta-Matte Lipstick Transformer. Created on set to minimize the number of lipsticks Smashbox’s pro artists carried in their kits, this non-chalky gel changes any cream lipstick formula into a velvety one, improving its wear without feathering. Its portable design is perfect for giving your lips a makeover wherever you go. Algenist Power Advanced Wrinkle Fighter 360° Eye Serum $70.00 - This potent formula visibly lifts the upper eyelid, diminishes dark circles, and minimizes the appearance of crow’s feet in size and depth. The serum restores essential moisture in the fragile, thin eye area, improves and restores the look of elasticity, and minimizes the appearance of undereye puffiness. The result is a 360-degree visible improvement around the eyes in as few as 10 days. I love benefits products and that highlight sounds like a dream! Que maximo amei as dicas dos produtos, tenha uma semana abençoada. Ooh! I'm excited to try the "shy beam"! I love benefit's high beam and this new one sounds like a fun subtle way to highlight! Ma che prodotti interessanti e poi devo dire che il packaging mi piace tantissimo!! Great products. Happy New Year. That benefit highlighter sounds amazing!! It's really great that they came out with a more subtle one! Sometimes their highlighters can be over the top! love the packaging for all 3 products! I want to try the highlighter! So many iinteresting product!! I would like to try that Benefit liquid higlighter! I can't believe how great the beauty is nowadays, offering us so many new amazing products! I think the wrinkle fighter is a good product for me! Definitely want to try the shy beam!